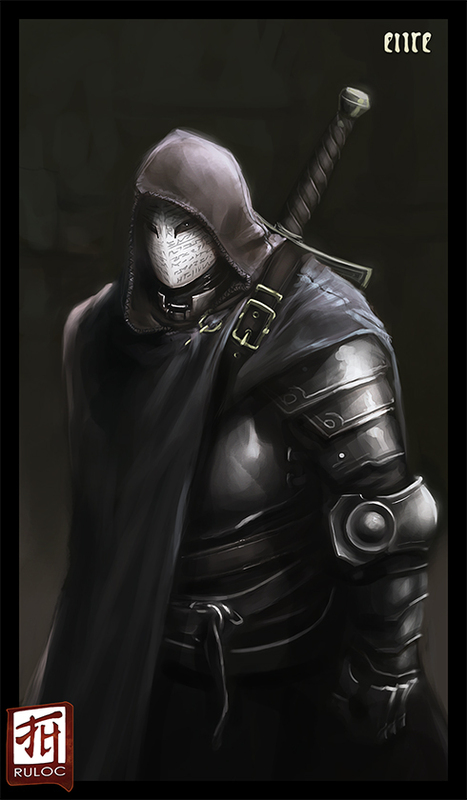 Clothing: Enre wears a white mask covered with runes and a grey cloak. Under the cloak he wears heavy armor. On his back is a massive two handed blade.